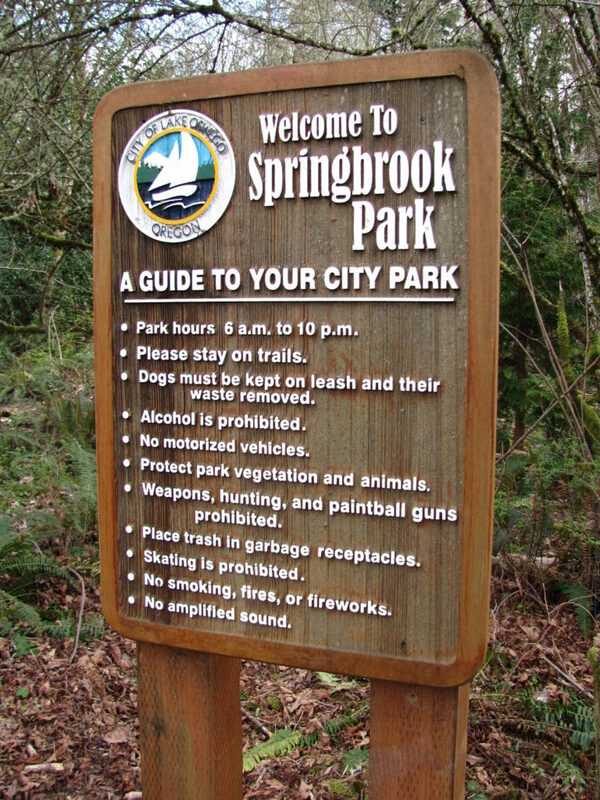 Springbrook Park lies on the northern slope of Iron Mountain and is Lake Oswego’s oldest and largest natural area. It is a vital part of the Uplands neighborhood. This 52-acre urban nature area provides important environmental functions that benefit the entire area, and it offers passive recreation opportunities to local residents. It is ideally situated and provides an outdoor laboratory for a full range of students, since it is located adjacent to Uplands Elementary and Lake Oswego Junior High schools Schools and across the road from Lake Oswego High School. CLICK HERE to open a Trail Map. Use PooFree bags for dog waste removal. Place trash in garbage receptacles. Protect park vegetation and animals. Weapons, hunting and paintball prohibited. No smoking, fires or fireworks.